720 rolls (i.e. 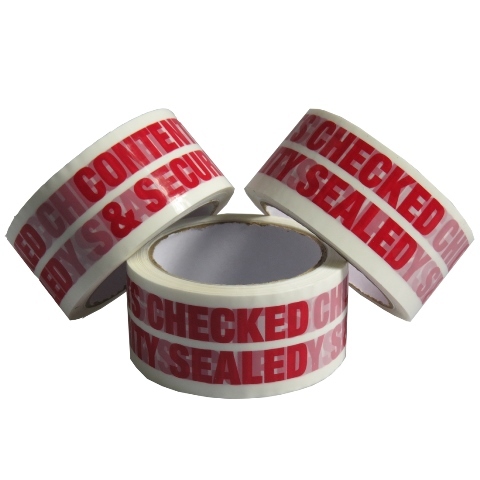 20 boxes of 36 rolls) of LOW NOISE 'Contents Checked' printed sealing packing tape 48mm x 66M. These are industrial length rolls, and perfect for telling the courier companies and your customers that all goods inside your carton have been checked before sending. A very popular tape used by importers and exporters.